Think of PowerPoint and what can you think of? Hundreds of endless slides that might make you feel like dozing off in a stream of slides. There is no looking further to Microsoft PowerPoint as far as presentations are concerned and it has become quite the industry standard for making visual presentations worldwide. Well, there may be many advocates against this software for the slack effect it creates on its viewers during presentations, including me! But the presence of almost innumerous add-ons for this software simple makes it the best in its market. The vast range of add-ons for Microsoft PowerPoint enables its users to harness the true potential of PowerPoint to a much greater extent. Where written words and imagery are not best suited for conveying a piece of message, presentations tend to achieve that quite effortlessly, making the best of both the worlds. One such add-on we will be talking about here further is for equipping the software with powerful imagery in the form of Clipart. If like me, you’ve ever happened to feel dismal over the limited in-built clipart that PowerPoint provides and its limited management capabilities, here is something that you should definitely take note of. Pre-defined clipart is definitely a go-to place for filling up the slides with relevant imagery in no time, but what if there is more to it? Enter ShapeChef and all the above talk will start making sense in an instant. All along we’ve been talking about making the most of clipart in PowerPoint slides. If you are concerned with the quality of built-in clipart in PowerPoint or just want to pep things up a bit, ShapeChef will definitely appeal to you. It is basically an add-on tool for Microsoft PowerPoint that will give you access to hundreds of high quality images and graphics at the click of a button. ShapeChef compensates for the lack of capabilities of the in-built clipart management tool of Microsoft PowerPoint. Add a search tool, a cloud image service, an organizational tool, and hundreds of high quality pre-defined images to the default in-built clipart tool and this is what you get. 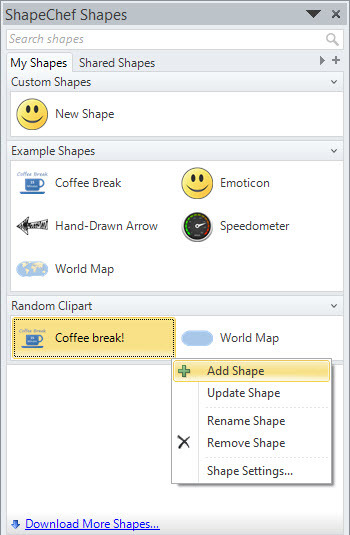 It is a powerful clipart organizing toolbox to compensate for the in-built clipart features of Microsoft PowerPoint. So, now that you have a basic idea of what this piece of software does, let’s walk the talk and dive into it deeper to find out for ourselves. You can download the trial 30-day free version (For details about pricing of full-version read below) of this add-on from their website. The download is a meager 5.6MB in size. Once the add-on is downloaded, it installs without much hassles. Once the add-on is installed you can access this tool directly by opening your edition of Microsoft PowerPoint. The interface of ShapeChef toolbox once accessed with Microsoft PowerPoint can be seen above. The toolbox by default seems to take up about 3/4ths of the screen space, it can be resized however. By default it shows up a few example shapes to start with instantly. Add new Shapes to your slides by right-clicking the selected slide. Clipart is referred to as ‘Shapes’ in this add-on and you can add them to your slides wherever needed. Although ShapeChef offers loads of pre-loaded graphics and icons, a part which we will talk about in detailed later, it also allows users to add their own shapes to the slideshows. The Add new Shape can be accessed by right-clicking the shape that is visible on the selected slide. You can also select shapes by browsing the toolbox on the right-hand side of your slides and selecting the same from there. Add ready to use graphics and images. This is one of the most interesting aspects of this add-on software. 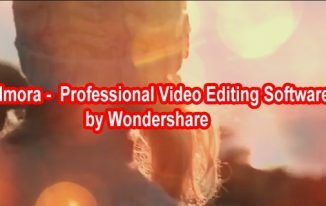 The high quality graphics that this add-on provides by default includes hordes of shapes and figures that are ready to embed right into your slides. These graphics need to be downloaded as they don’t come bundled with the software. 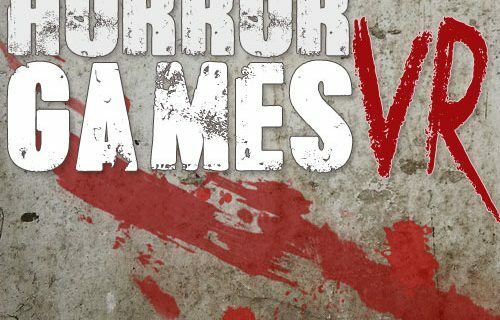 Out of these graphics packages, some of them are free and some of them are available as in-app purchases. These graphics are linked to your profile over cloud and so you could download them and forget about losing them if you happen to access them later. These download-able graphics packages include a set of computer network related charts, sketched arrows, markings, frames, sticky notes, etc. 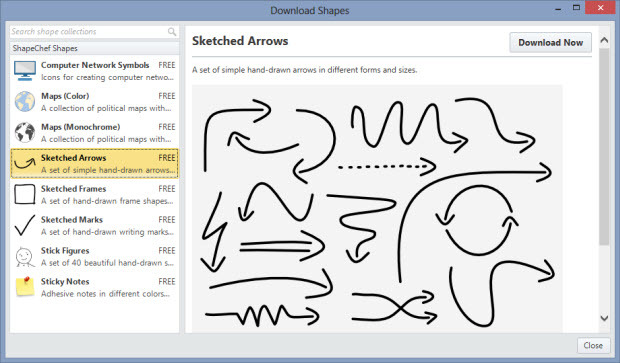 ShapeChef built in ready to use Graphics like marked arrows. Now, let’s talk about the in-built read-to-use icons and graphics that this add-on comes bundled with. ShapeChef features an easily notice-able search toolbar at the top of its toolbox. This software allows you to search for relevant images for your slides using this search toolbar. 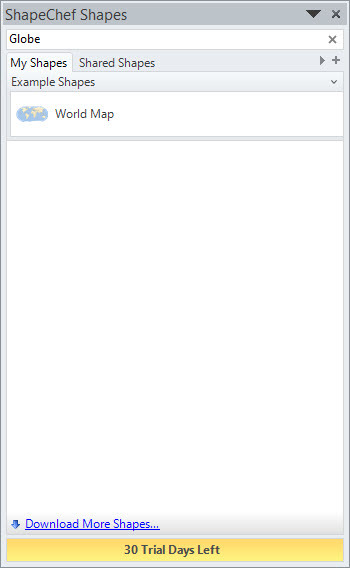 You can search for maps, report charts, and almost anything you can think of. These graphics come bundled with the software and they are ready-to-use, so no need to download these graphics. If you can’t find what you are looking for, you could try downloading more samples with a link right at the bottom of the toolbox. Most of the times it would happen that you will find what you want through this search toolbar, as it packs wide ranges of clipart in-built. One of the powerful clipart organizing tools that I’ve ever come across! 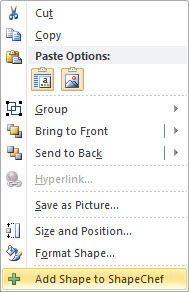 If there’s one thing that Microsoft PowerPoint lacks in is this particular feature. ShapeChef possess one of the most elegant-yet-simple clipart organizing tools. You can create categories of your own choice and later add relevant shapes to these categories for later ease of access. Organize all of your clipart here and access them at any later point. One of the other noteworthy features of this add-on is its cloud sharing abilities. It allows users to make the most of their cloud services with sharing of images and clipart over the air. The software allows users to create a private library on their cloud servers and stack them up with personal favorite clipart. 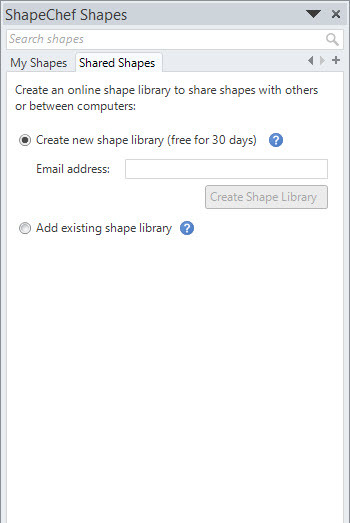 This personal library can also be made private and share them with other people in your shared network or even make it available for public access. This library once put up for the public could be made Read-only (that gives access to browse-only) or Read-Write (that gives access to everyone to make changes to your library or individual images). As far as compatibility is concerned, ShapeChef right now supports all editions of Microsoft PowerPoint starting from the 2003 edition. They have gone so far to support even the latest Microsoft PowerPoint 2013 released for the new Windows 8 touch based devices. So, that means you could access it without any problems on Microsoft PowerPoint 2007 and 2010 editions. If you are a Mac user, you should look for some other alternatives as it does not support Microsoft PowerPoint for Mac-based users. The pricing of this tool varies from the number of users intending to use this tool. If you happen to be an individual and want a single license it would cost you around $39.99. The prices for a team of few people would vary depending on the number of people wanting to access it. The pricing for multi-users varies on the number of users. For five users it would cost you around $179.95, $319.90 for a team of 10 users and could go as far as $1,399.50 for a team of 50 users. A single license of this software supports installation on up to two PC’s. So far, so good. 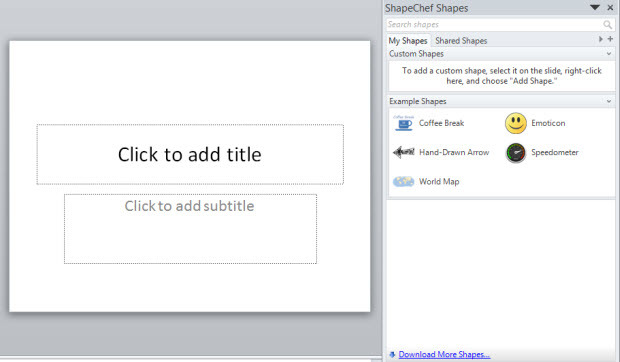 ShapeChef is a great power tool for making the most of graphics and images in your PowerPoint slides. If you happen to make use of a lot of imagery in your PowerPoint slides and want something more than the default in-built set of images, it should on your checklist. With its powerful and high quality read to use graphics and images, it sure does pack a punch. Bring your dead PowerPoint presentations back to life with this powerful add-on and you will never have to gobble through the internet for that perfect clipart for your presentation. Managing images for your slideshow has never been much easier and it’s powerful management and organizing tools take it a step ahead of its compatriots. It is sure a must try add-on for people with a flair for imagery in their presentations. ‘Pictures speak louder than words’. Make sure you harness the power of this tool and convey your message in an effective manner. Wow, I think this is definitely worth giving it a run just to see what types of shapes they have available besides what you’ve shared with us here. I use PowerPoint a lot and their lack of great clip art I have to say is a disappointment. What do you expect though right and for someone who is in business for themselves like me I think the single user is a very reasonable price. I’ve started doing more SlideShare presentations so I’m thinking this will really come in handy for me. I appreciate the introduction, thank you so much and I’ll be definitely checking this program out. Thanks Adrienne for dropping by. I have recently found this amazing add-on which is great for every powerpoint users. I know that you use powerpoint so much as I read in one of your post. Keep visiting.